A great place to start is by listening to them. Kids are like anyone else. They have voices and things to say. They want to be heard. If we model good listening, they will learn those skills too. But listening is more than hearing. Hearing is simply a sense that most of us have, while listening is a skill based on paying attention. When you really pay attention to young people – that is, taking in not only the words they say, but also the sound of their voice and their body language – you can become a sounding board for what they are thinking and feeling, which can help them process through their emotions and learn from them. 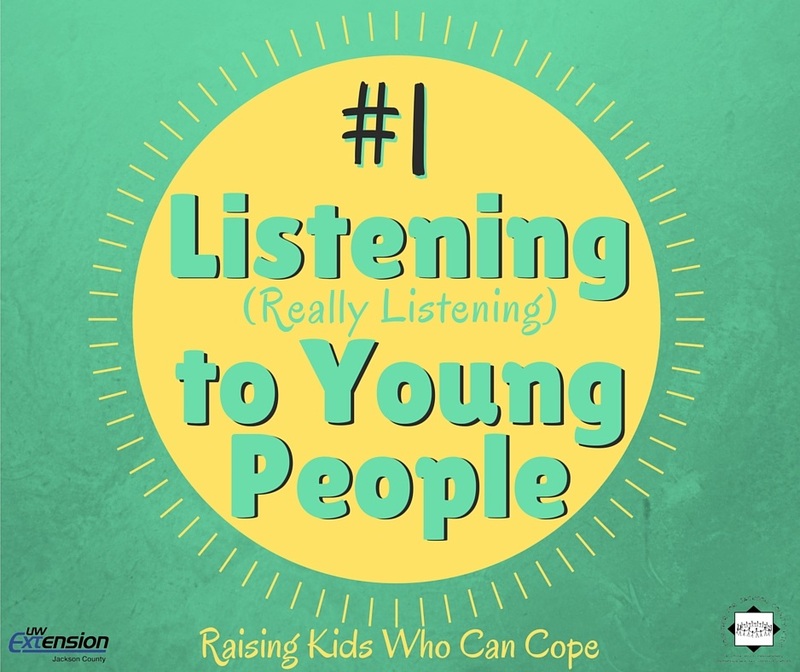 In order to really listen, you may need to temporarily turn off your “adult alarm” – or that part of the brain where red flags of concern go up for our children. Stay calm and allow them to talk through what they are thinking or experiencing. Stopping them to lecture not only cuts off communication, but it prevents them from reaching their own understanding of their situation. When the lines of communication stay open, you, as the adult, will have plenty of time to provide advice – if they ask for it – or share your values and opinions in nonjudgmental ways after the young person has talked out the issue. Ginsburg, K.R. & Kinsman, S.B. (2013, December 3). How to Communicate With and Listen to Your Teen. Healthy Children: American Academy of Pediatrics. Retrieved from http://www.healthychildren.org.